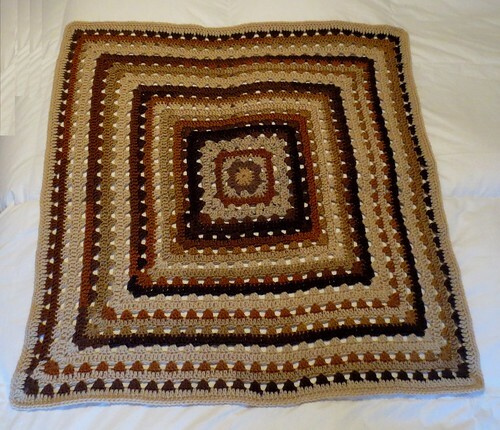 Here is one more blanket crocheted using this blanket pattern. I call this lapghan blanket Blues Grannie Square. For this lapghan I used just one skein of Red Heart Stripes in colorway polo stripes. 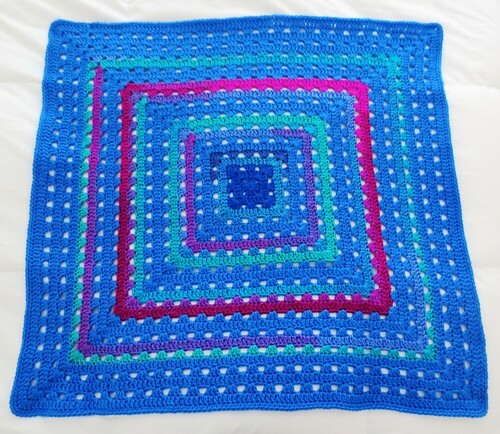 I crocheted a row or two in the Stripes yarn and then used a skein of RHSS in blue to fill in the blanket. 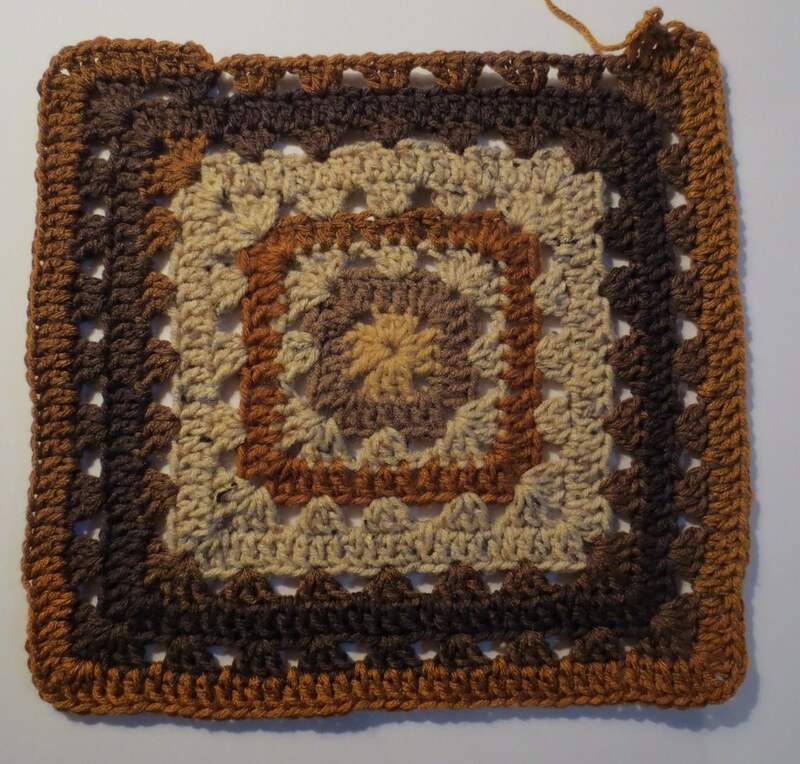 I finished with 5 rows of the pattern in the RHSS blue and did one final row of single crochet stitches to complete the trim. 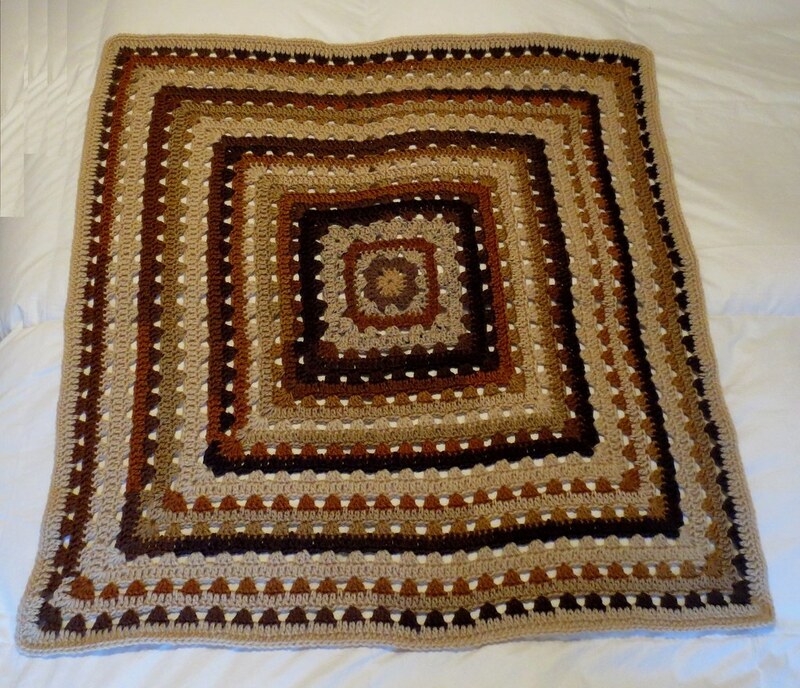 So in closing, I love this Grannie Square blanket pattern. 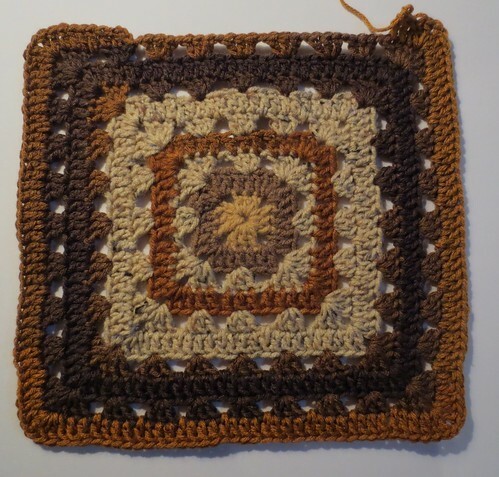 I definitely will be crocheting more blankets using this awesome pattern.